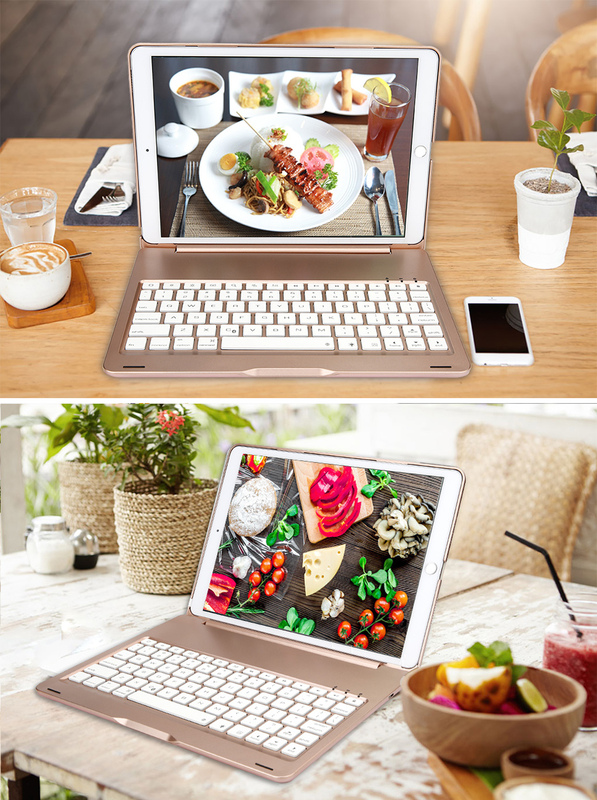 Well Protection and Perfect Access - Premium quality aluminium alloy keyboard case for 2017 iPad Pro 10.5, protects all sides, edges and surfaces of the iPad. Keeps tablet Safe and Secure. Accurate cutout makes perfect access to all switches, speakers, lightning connector, volume up/down, camera and headphone jack. Click on “BT 4.0 Keyboard” to finish the pairing, the Bluetooth indicator goes out. We created iEGrow with a single goal in mind: to make the smart life easier. That means starting with affordable, high-quality gear and ending with a commitment to 100% user satisfaction. After all, we're customers too.